I recently worked with Nick Saccotelli to purchase a Jaguar XF. I have purchased many vehicles over the years and have some good experiences and a few really bad experiences. This is by far one of the best experiences that I have ever had. There was absolutely no pressure and no questionable sales gimmicks. Nick worked hard to make sure that I had all of the information that I needed to make an informed decision. I walked out feeling like I got a great car, at a great price, with an extended warranty that gave me peace of mind moving forward. No buyers remorse this time, just a big smile as I drive my new car. Thanks Nick. I recently worked with Chris Peterson to purchase a Range Rover. I highly recommend him for purchasing a new vehicle! I was particularly impressed with his knowledge of the Range Rover vehicle and his honesty in recommending the right fit for my needs. I traveled to complete the purchase and he made himself available in a very short time frame to accomplish everything. The paperwork was perfectly in order upon my arrival and everything was seamless. He's the best! 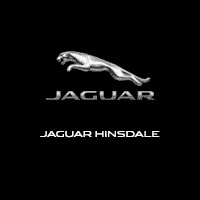 My taillight blinker stopped working and I called Jaguar Naperville to see if they could take in an emergency bulb replacement. Matthew Herzog, a Service Advisor, did not hesitate to take a look and had me out in no time. I appreciated the feedback and help in such a short time frame. Thanks again Matt! The entire buying experience was excellent. This is our 3rd car from Land Rover of Naperville. All from Chris Peterson. He is great to work with and the entire staff is as well. My mom just bought a car here. The environment was calm and no pressure. The salesman was there for guidance and not to push the highest price. They treated her well. My time at Patrick Jaguar dealership was astonishing; the process went extremely smoothly. I had never had a dealership take care of me even after I purchased my car. Usually, most dealerships will sell you the car and then you’ll go your separate ways. Patrick Jaguar dealership made sure that even after purchasing my car, I still was doing well. Thank you, Patrick Jaguar dealership, for going the extra mile for my family and I.